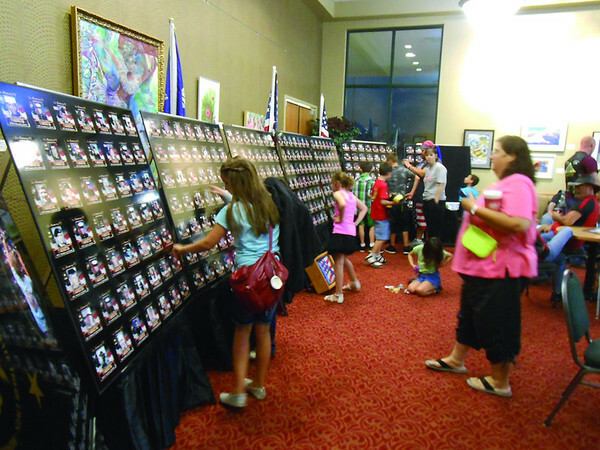 Visitors examine the Illinois Fallen Heroes Traveling Memorial Wall and photos of the 309 men and women from Illinois who have lost their lives in Operation Iraqi Freedom and Operation Enduring Freedom. The wall stood in the auditorium of the Effingham Performance Center recently for the Rockin' for the Troops benefit for the Illinois Patriot Guard. "Even if you don't family in the military, it's a show of support that helps the mourning families of the fallen," said Patriot Guard Senior Ride Captain of District 9 Michael Crask.